One of Stepnell's greatest assets is the quality of their supply chain and the relationships that they maintain with a broad range of subcontractors and suppliers in diverse construction disciplines. Our custom software helps to maintain the integrity and quality of the supply chain by monitoring performance, streamlining the procurement process and providing traceability from initial tendering right through to contract completion. As principal contractor, Stepnell is responsible for overseeing safety and insurance for major construction projects. Further aiding management of the supply chain, the in built Insurance Management system provides reminders to subcontractors when their insurance information is required, and provides an easy-to-use web interface for completing returns. As well as being the primary location for the company contacts, the software is fully integrated with Stepnell's third party ECM / Document Management System. Our old methods for keeping track of and dealing with our subcontractors and suppliers were laborious, time consuming and generally out of date. The new system works the way that we want it to in order to meet a variety of functions. We were unable to find an off-the-shelf package that would have worked in the way that Stepnell does business. Acumen's bespoke package has meant that we could define what we wanted and the manner in which it worked, resulting in fewer compromises and the ability to grow the functionality as our requirements changed. Acumen have provided a very proactive service which has only been possible through their commitment to understanding our objectives and processes. They were aware of our biggest concerns, which was implementation, and are always there when we have a question or a problem that needs solving. This has meant that we have managed to get more out of our investment than had we bought an off the shelf product. We are currently working with Acumen on further developments that will allow us to further speed up and simplify our estimating operation. Having used the Suppliers and Subcontractors database application for a few years we decided that we had to extend its functionality by integrating an Insurance Management system. As the lead contractor on many large projects it is vital from a legal and insurance perspective that we ensure that all our sub-contractors are up to date with their insurance cover, both during a project, but also for a period of up to 12 years after completion. With several thousand supplier and subcontractor records to maintain and verify this is no small task. 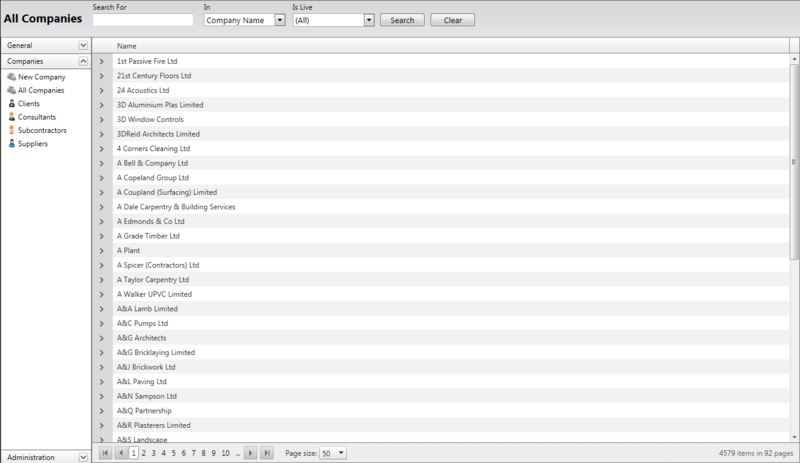 The web based system makes the task of chasing companies much simpler. Prior to having this system the process used to be done on an adhoc basis whereas now, with a significantly larger volume of subcontractors, it is regimental and accurate. 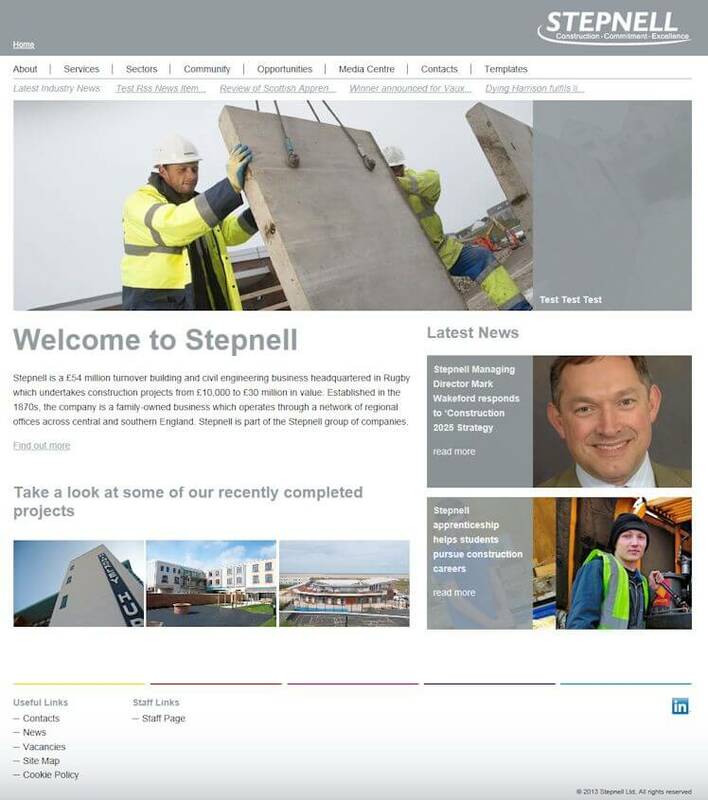 The brief from Stepnell was for a new website where they could control the entire site - pages, menu’s, content, links, downloadable documents and images - by using a back end admin centre, They also needed to be able to create completely separate sub-sites with little intervention from Acumen. The structure of what was required was then pieced together using Stepnell’s analysis of websites that captured their imagination, and templates of how pages should look (a final total of twelve different page templates!). Once our graphic designer had finalised the graphics, we set about designing an admin centre that could produce an entire website’s pages, menu’s and content. 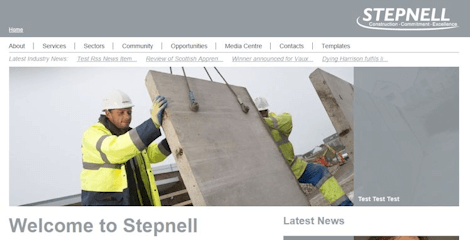 The Stepnell Web Portal gives Stepnell Personnel the ability to access contacts held within the Suppliers and Subcontractors database anywhere in the world via its easy to use and fast web interface. The portal also allows the upload of insurance documentation from the supply chain, and enables Stepnell's Supplier and Subcontractors to download enquiry documentation with a simple click of a button. Stepnell operate a simple Microsoft Access Personnel Database which although not originally created by Acumen has been maintained and updated by Acumen for many years. 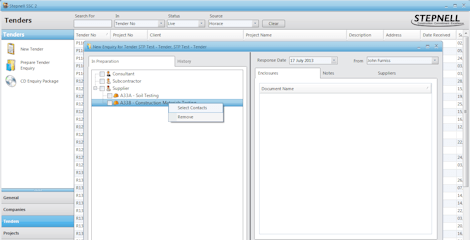 There have been numerous enhancements including transferring the back-end data over to SQL Server thereby allowing it to communicate with the Suppliers & Subcontractors Database. 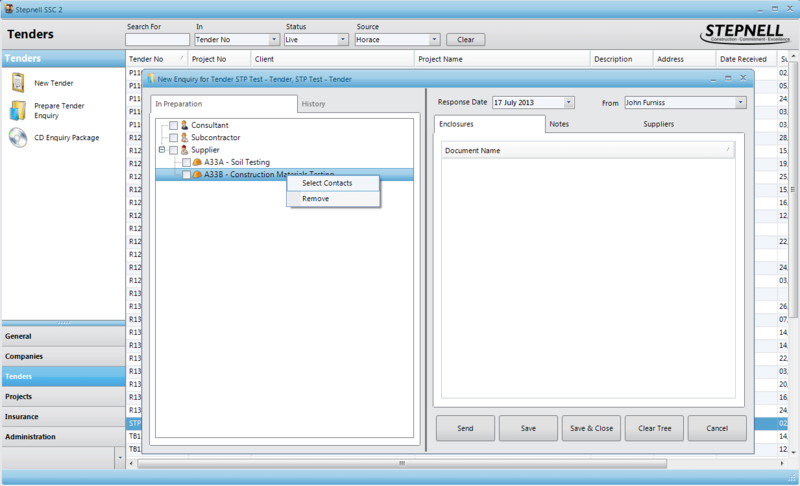 A new application was required that would automate the generation of reports from the existing database and email them to the required recipients. This resulted in Acumen designing and implementing the 'Stepnell Personnel Service' which works unnoticed in the background. 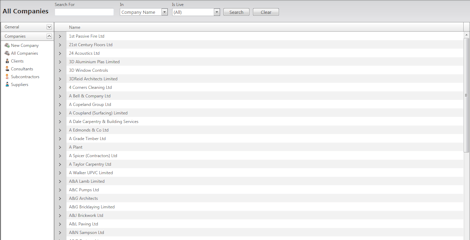 An additional 'manager' application allows administrators to configure various system settings e.g. 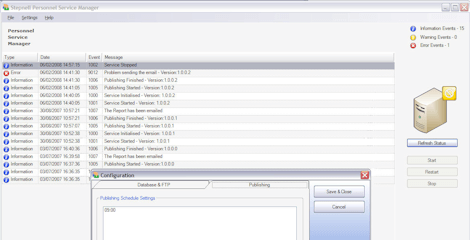 email recipient etc and set the frequency that reports should be generated. 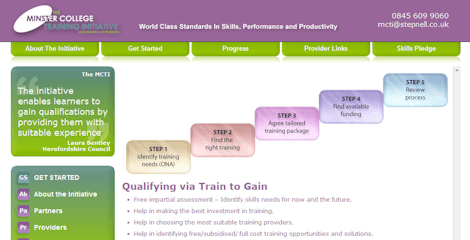 As part of the development for the main Stepnell website, we also had to develop the first sub-site - the website for The Minster College Training Initiative. Although the Minster website can be administered using the same admin centre as the main website, it still needed to be designed - the bold colour scheme being Stepnell’s own choice - and also required a few of its own special templates. 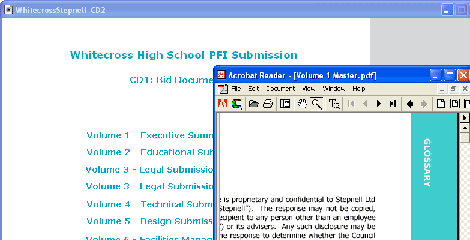 In this particularly complex tender bid, Stepnell were required to submit electronic versions of their tender documentation. We assisted by producing an auto-run multimedia menu system for the resulting CD-Roms, as well as CD production, disk artwork and printing. Stepnell's bid was ultimately the winner - although we are certain this was overwhelmingly more to do with their experience, expertise and quality than our presentational skills!